The end of an icon. 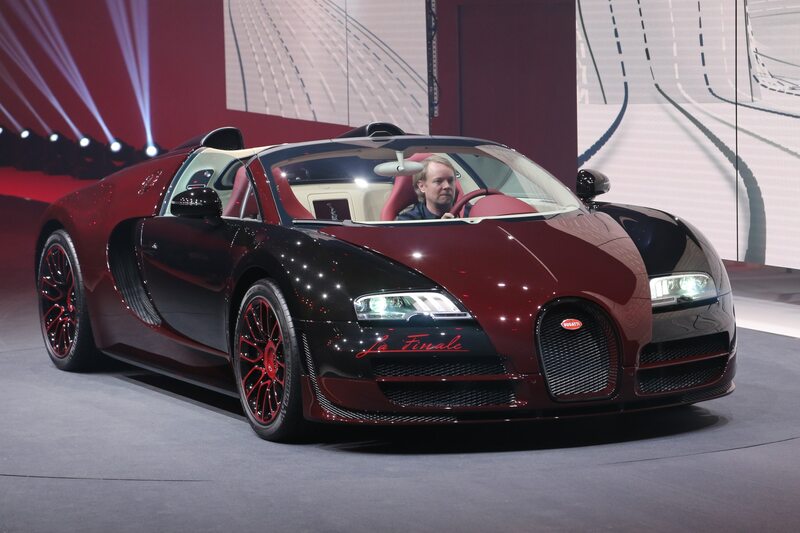 Over the course of a decade, the Bugatti Veyron has spawned over 15 individual special editions and one-offs, and now, with the 450th and final Veyron sold, the Bugatti Veyron Grand Sport Vitesse La Finale marks the end of an icon. 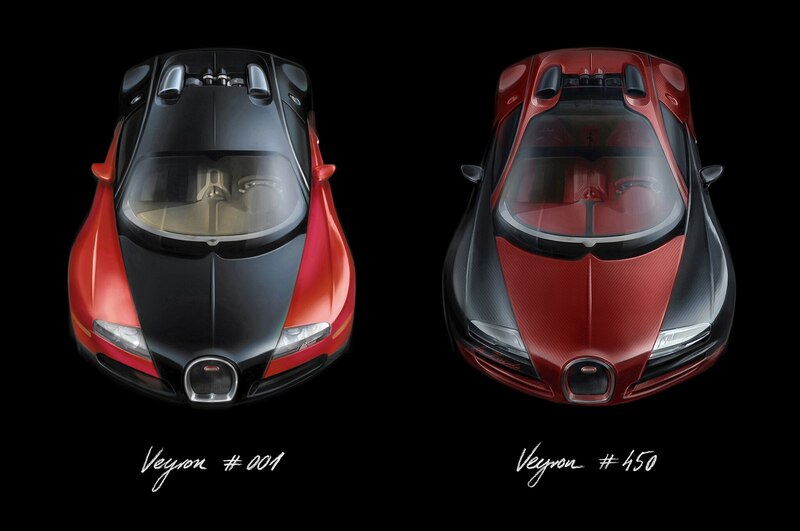 As befitting both the price and the exclusivity of Bugatti, each Veyron can be specifically customized as per customer request. 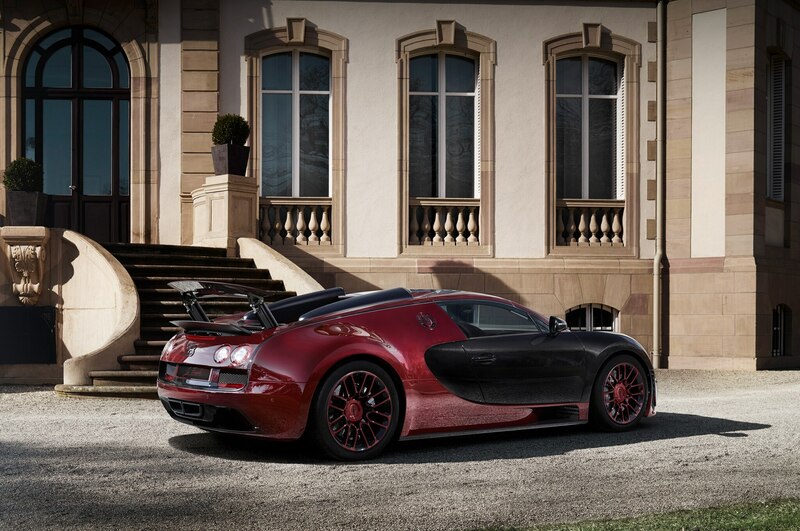 With the La Finale, no bystander could possibly mistake it for any other Veyron model. 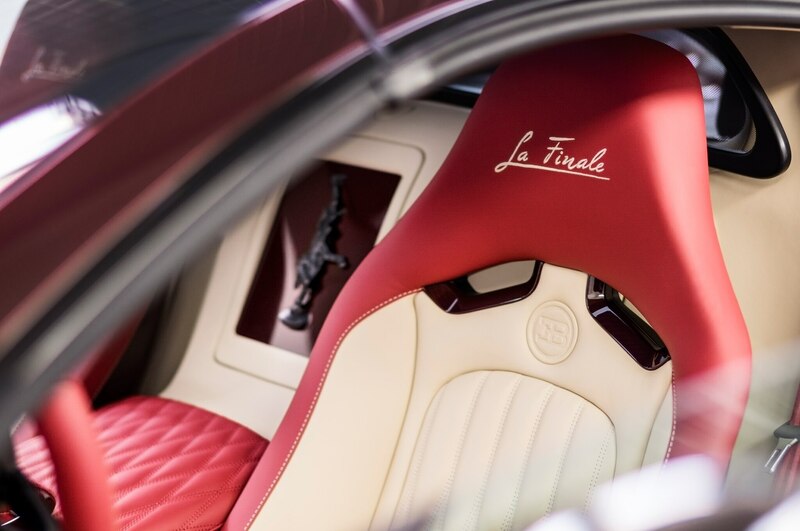 With a striking exposed carbon-fiber body, the La Finale integrates deep red exposed carbon fiber on the rear half of the coupe, with the hue bordering on maroon. 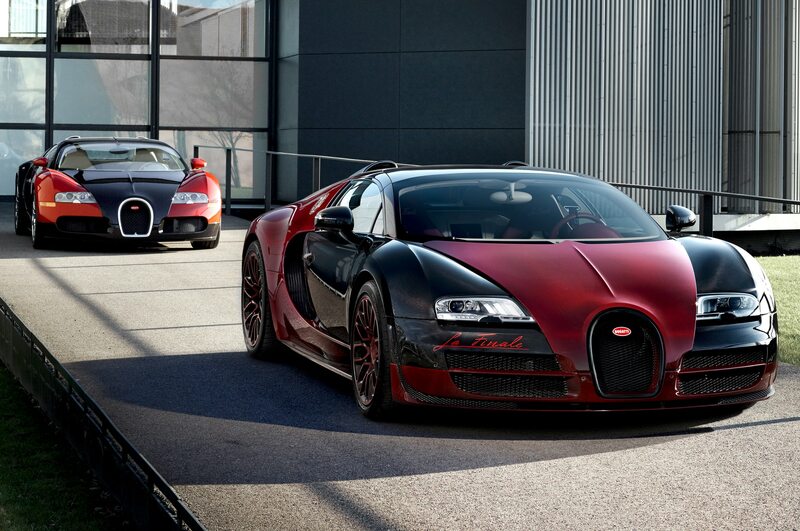 The front half is exposed black carbon fiber, providing a distinctive red-and-black contrasting scheme. 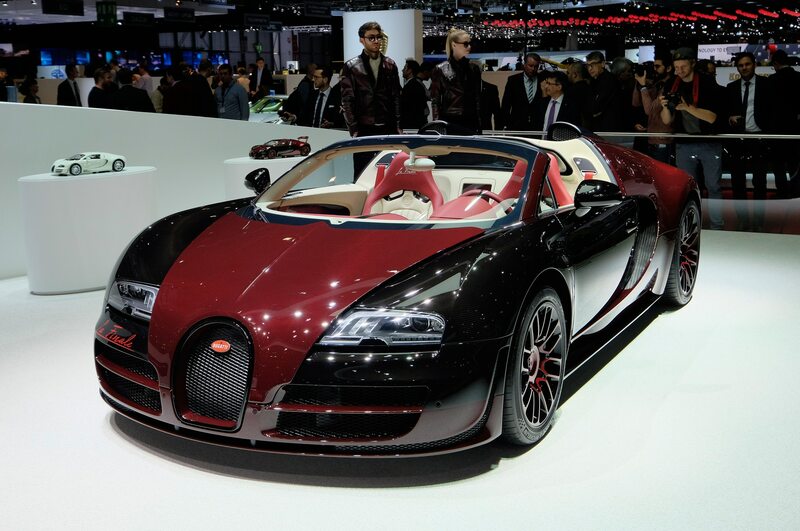 This is in direct reference and homage to the first Bugatti Veyron to roll off the assembly line, which proudly bore a similar red and black contrasted scheme. 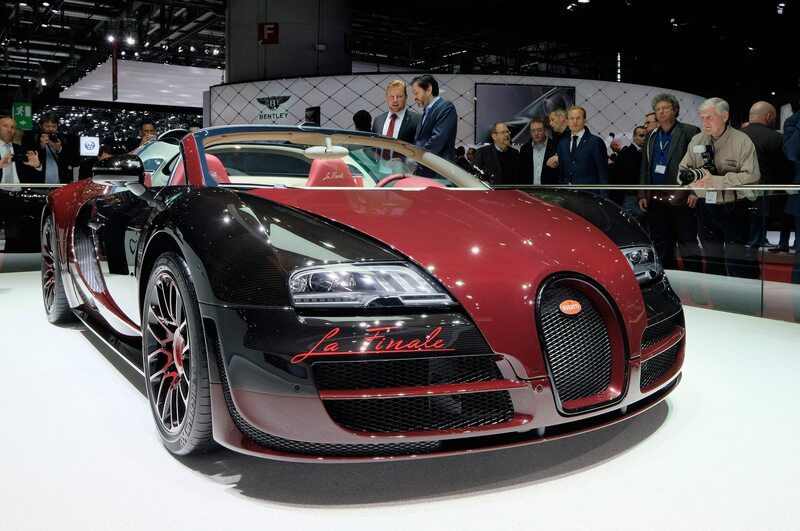 “La Finale” script appears under the front right headlight and under the rear wing. On the inside, the seats are upholstered in contrasting beige cream and red leather, with red carbon fiber accents throughout the cabin. 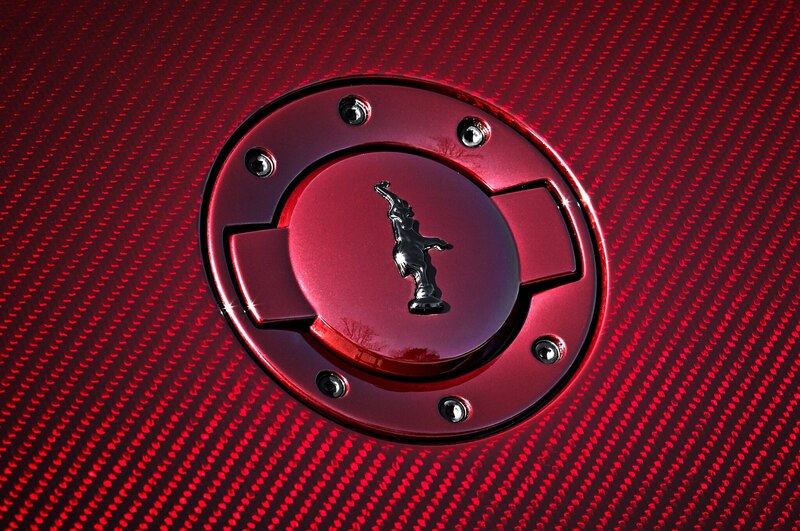 The historical Bugatti elephant mascot adorns the interior storage compartment, as well as the exterior fuel door and wheel caps. 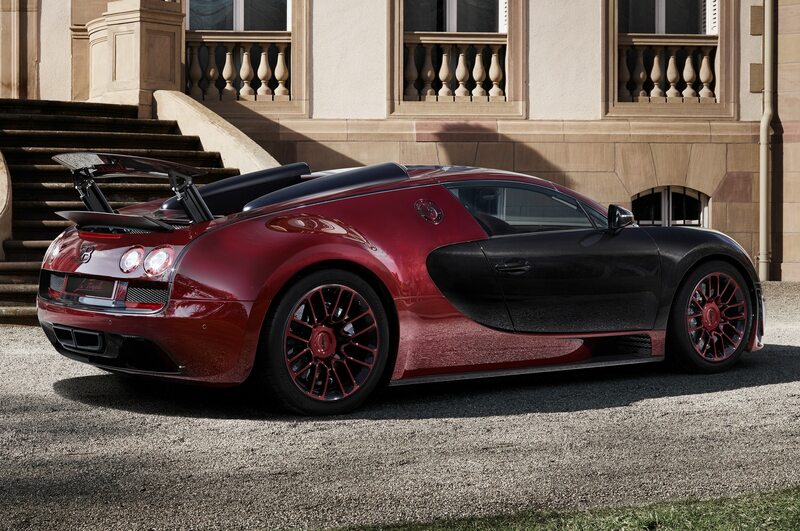 From a mechanical standpoint, the La Finale is unchanged from a regular Bugatti Veyron Vitesse. 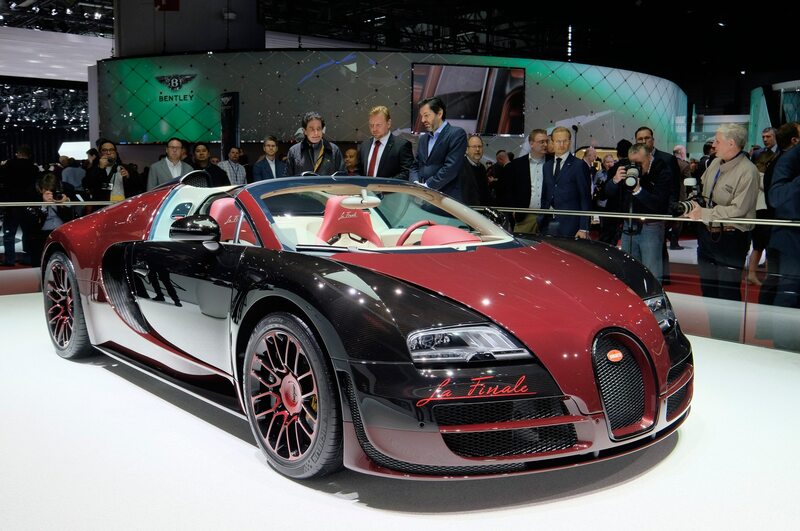 As the Vitesse is a targa-roofed variant of the record-setting Veyron Super Sport edition, the La Finale is powered by a 1183-hp 8.0-liter quad-turbocharged W-16 engine, allowing the La Finale to crack 60 mph in 2.6 seconds before continuing on to a top speed of 254 mph. 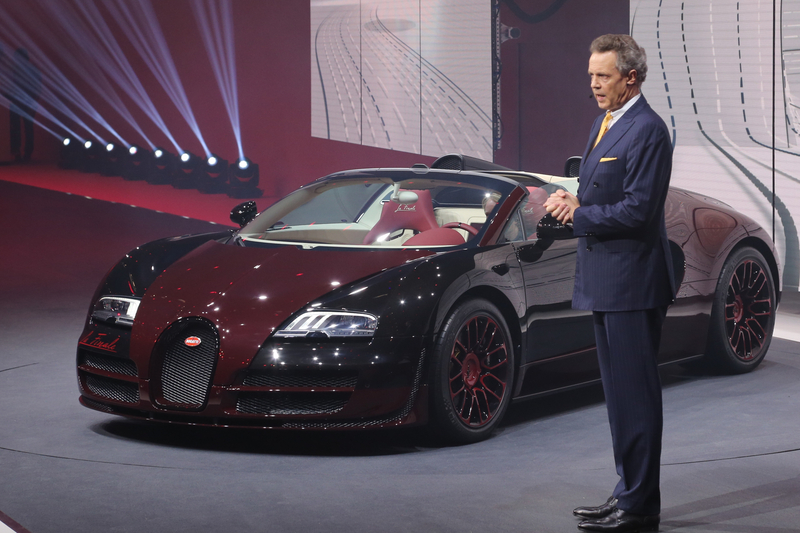 Take a look at Bugatti’s send-off to the immortal Veyron in the gallery below, and look for the official debut of the Bugatti Veyron Grand Sport Vitesse La Finale at this week’s 2015 Geneva auto show.